Coupled with more than 100 physicians (active, courtesy, consulting) on staff, in 19 specialties, MGH&FC has positioned itself to be the pride of the area. We put patients first. We provide quality care to assist the individuals of our community to restore and preserve their health. We conserve patient and community resources through a sustainable, financially viable, coordinated system of health care delivery. Coupled with more than 100 physicians (active, courtesy, consulting) on staff, in 19 specialties, MGH has positioned itself to be the pride of the area. MGH has more than 540 employees and 100 volunteers waiting to care for the community. The staff, physicians, and physical plant are highly regarded throughout the state. MGH is known industry-wide as one of the top rural hospitals in the region. Scope is mailed out four times a year to households in Mason County. It encompasses news and happenings at MGH&FC, community events, classes, support groups, and new and featured providers. There are many great reasons for choosing to have your baby in the Birth Center at Mason General Hospital, and one of them is Danielle Hutchins, RN, IBCLC. Danielle has been a labor and delivery nurse at the Birth Center for the past 12 years, and was recently selected by her peers as MGH&FC’s March Employee of the Month. Happenings is published 12 times a year and is available at Mason General Hospital and on line. 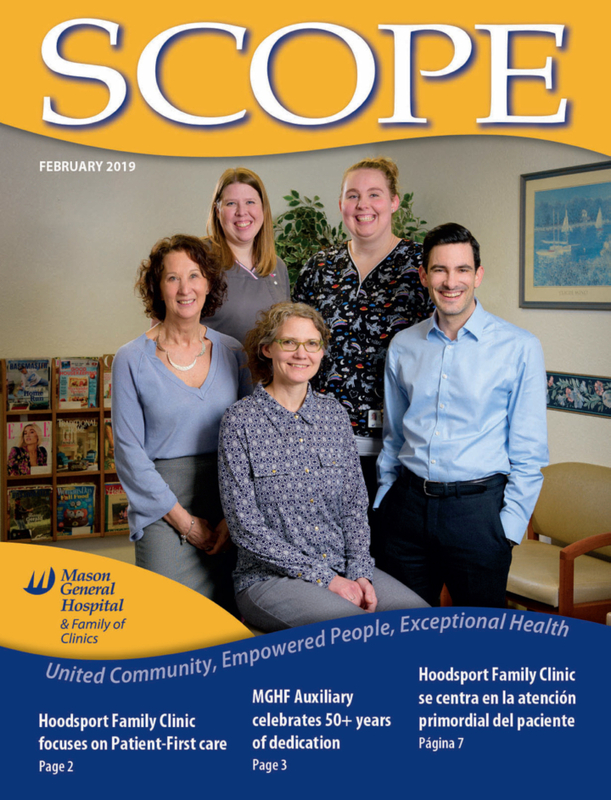 It encompasses news and happenings at MGH&FC, community events, employee of the month spotlight, and other pertinent information. Public Hospital District No. 1 of Mason County is now known as Mason General Hospital & Family of Clinics (MGH&FC) was established in 1968. Eleven clinics and a critical access hospital comprise PHD No. 1 of Mason County. 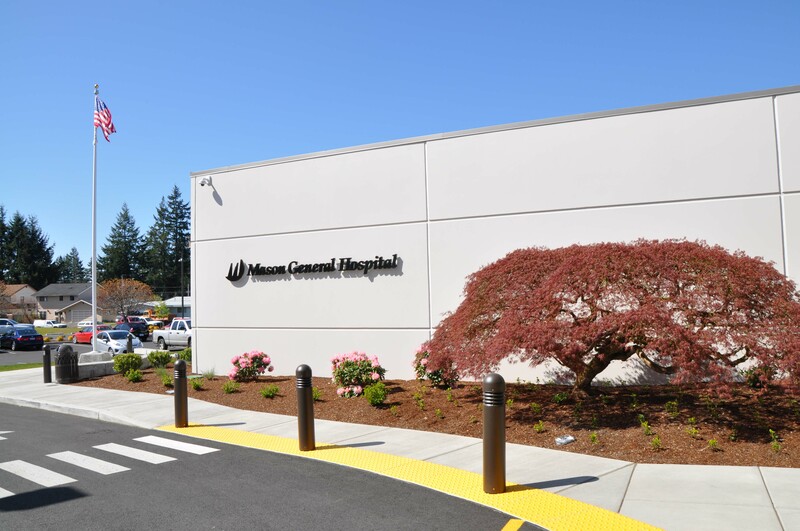 MGH&FC provides exceptional healthcare and we are known throughout Washington as one of the highest rated rural hospitals districts in the State. Many people move to Mason County for the quality of life, and soon, they too learn about the quality of healthcare available at Mason General Hospital (MGH) and within our family of clinics. MGH is a licensed and accredited acute care hospital. It has earned, through extensive specialized training and meeting stringent qualifications, a level four trauma designation. Mason General features a level four trauma designation emergency department that operates 24/7 and it is staffed by board certified emergency services physicians, emergency services trained nurses and staff. MGH&FC also has an intensive care unit that extends privacy to the most critical patients.